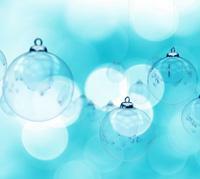 The family at Colorado Custom Spas would like to wish you a safe and happy holiday season. We are grateful to have the opportunity to serve our customers in all of their hot tub needs. Todays Tip: If you are leaving town for an extended period of time and plan to drain your hot tub, it is imperative that it be properly winterized. This process is very simple and should only take about 30 minutes or so. Please call (303) HOT-TUBS for more information. Our expert technicians are happy to help.